That's right, you knew this was coming. It's No Way Out week and what better way to continue it than with ranking the PPVs from the worst to the best. 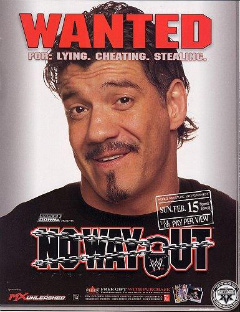 From 1998 (the first one was the official No Way Out of Texas) to 2009, No Way Out was the regular February PPV for WWE (sans 1999 when St Valentine's Day Massacre happened). It made a brief return in 2012, but hasn't come back yet and has been replaced by the awful Fastlane, which is taking place this month. Starting with the worst and working my way up to the best, let's get into ranking these 12 events. -John Cena vs Big Show. Ryback vs Jobbers. Santino and Ricardo Rodriguez in a tuxedo match. Need I say more?? Didn't think so. This was a terrible return for No Way Out and the final edition. -John Cena and Kurt Angle had a pretty good match for the no. 1 contender spot but the rest of the event was flat and bland. Taker vs Luther Reigns and Booker T vs Heindereich were huge wastes of two top stars on the brand and the main event was awful with JBL vs Big Show as well. Nothing good came from that match or feud. At all. -The very first No Way Out that wasn't necessarily terrible, but the event lacked that one big match and Savio Vega ended up replacing Shawn Michaels in the huge main event 8 man tag. That about sums it up. -This event is strange. There's some bad stuff, but a majority is full of solid wrestling and contest. It is strange because I can't tell if it's a good PPV overall or mediocre with one or two bright spots. I would have to Lea towards it being mediocre with bright spots. -This honestly could be lower if it wasn't for the three on two handicap match and the Cruiserweight championship match. This PPV has three terrible matches on it, and one match that isn't even really a match, just a beating. Disappointing PPV that had big potential if done right. -I reviewed this one earlier in the week, and while it had some great moments and the NWO's WWF debut, it also had a few lackluster moments as well. The prime middle of the road No Way Out PPV. -Another PPV that was a middle of the road event, but the main event is what made it feel great. Triple H vs Cactus Jack is a great Hell in A Cell match and is the reason why this PPV makes the list. 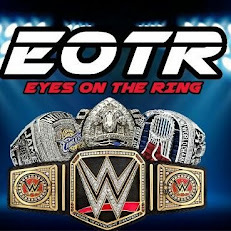 -This was a pretty good PPV. There were some good matches and some slow matches as well, but the main event was the driving force, which seems to be the case for a lot of No Way Out PPVs. Eddie vs Brock is a monumental match overall and the biggest of Eddie's career. -A very underrated PPV that I had the pleasure of witnessing live in person, Taker vs Angle was a huge classic, and Orton vs Rey was a great match to see live and the return of Tatanka was quite interesting also. Lot of great moments, including the appearance of Batista after relinquishing the title. A very solid PPV without a doubt. -I said this one was underrated and it really is. Two great Elimination Chamber matches and a really good No Holds Barred Match between Orton and Shane. Read my review earlier this week and you'll see why it belongs. -One of the more interesting PPVs, I enjoyed just about every match on this card and though there's no true classic, it is likely the most overall solid card of any No Way Out Event. Flair vs Kennedy, Cena vs Orton, and the two Elimination Chamber matches were all really good. This is definitely close to being no. 1 without a doubt. -I just wrote about this one, so I won't get into this PPV too much, but the IC Title match, the classic Austin vs HHH match and the amazing Rock vs Angle match all make this the best and the rest of the matches were enjoyable sans one. 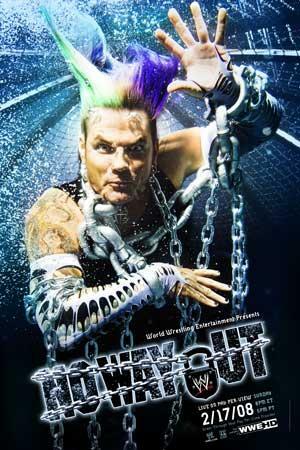 How do you rank the No Way Out PPVs? Post your list below.